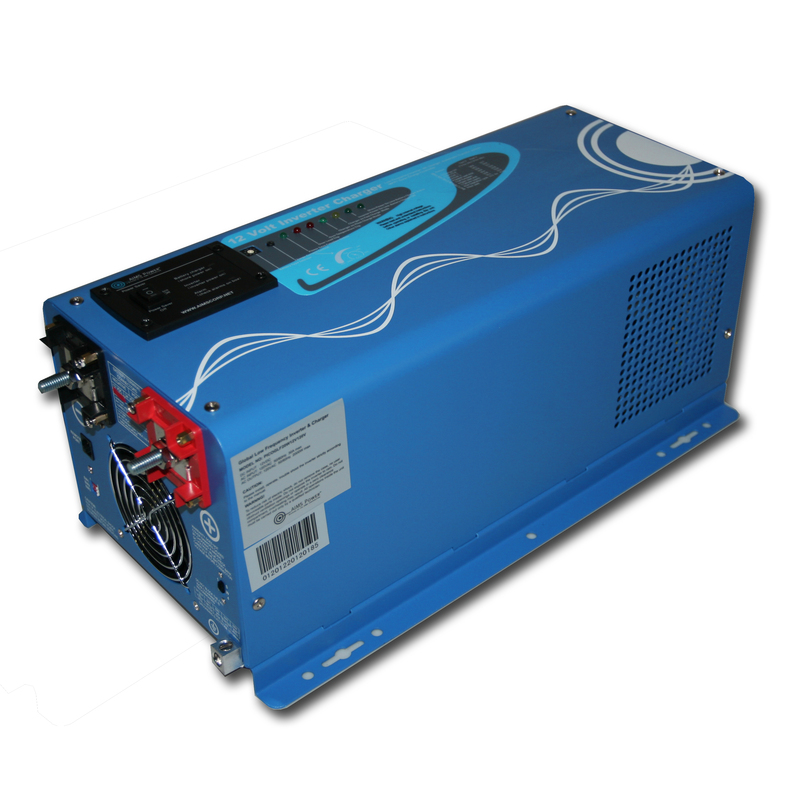 Another great thing about AIMS Power’s low frequency inverter charger line is that it gives you the ability to connect to shore power as well as a standard battery. When you connected to shore power, you can charge your battery bank using the built in battery charger in this unit. Thus the name: inverter charger. All of the AIMS Power pure sine inverter chargers also have a 300 percent surge capacity of 6000 watts so you can pretty much run whatever you want from right inside any vehicle! Another popular pick is the 1000 watt inverter charger, which packs a little less of a punch but still is great for several applications. Either inverter is a smart purchase for a trucker and a great gift for a friend that you know is on the road a lot. This inverter will provide enough power to run things like a television, mini fridge or even a microwave to make trucking a bit more attractive. Watch your favorite movie to unwind after a long day of driving. Run a space heater during those cold nights. Brew a pot of coffee from the comfort of the cockpit before setting out on the road for the day. Keep beverages cool traveling through the hotter parts of the country. Pop a burrito in the microwave as a midday snack, and do it all without having to stop somewhere! A trucker could potentially make record time and get a promotion, because having mobile electricity at your disposal means making fewer stops. Contact AIMS Power today, and take a more comfortable ride tomorrow. This entry was posted in Choosing Inverters, Power Inverters and tagged AIMS Power, DC to AC, Electrical Engineering, Electricity, Environmentalism, Green Energy, Inverter, Inverter Chargers, Mobile Power, Off grid, off-the-grid, Power Inverters, Renewable Energy, Trucking by Eric Lee Castillo. Bookmark the permalink.